Description: Our flagship encoder! 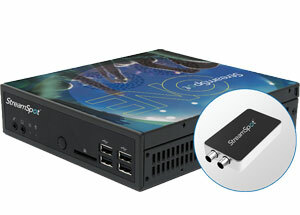 Stand-alone, auto-configuring, automated encoder from StreamSpot. 3G/HD/SD-SDI and 3.5mm analog inputs.